Today the excitement on Barrow 19 grows as we find the location of ANOTHER burial urn! The new urn can just be seen in the top centre of the photo, just under the horizontal measure. 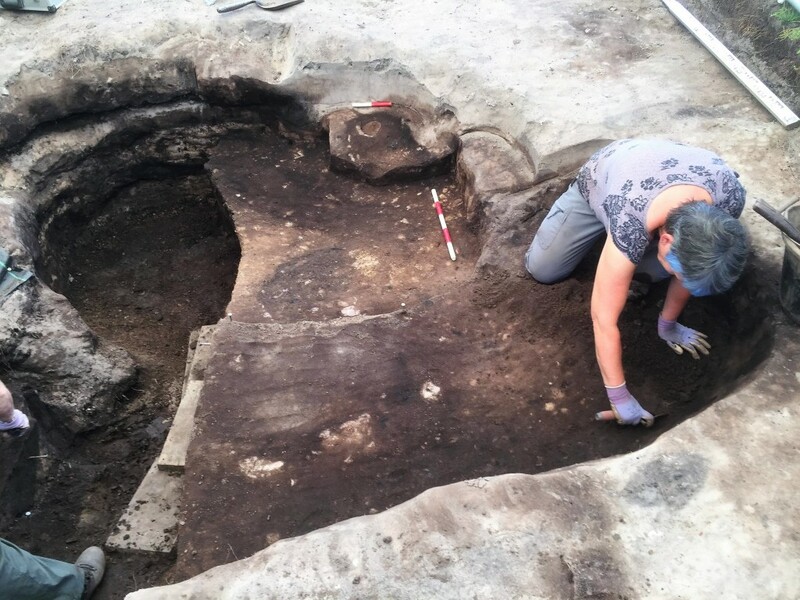 Barrow 19 was re-excavated this year to unearth an urn which was spotted right at the end of last year’s season – this one is still to come out of the ground and lies deeper still, by the wooden planks in the bottom corner. 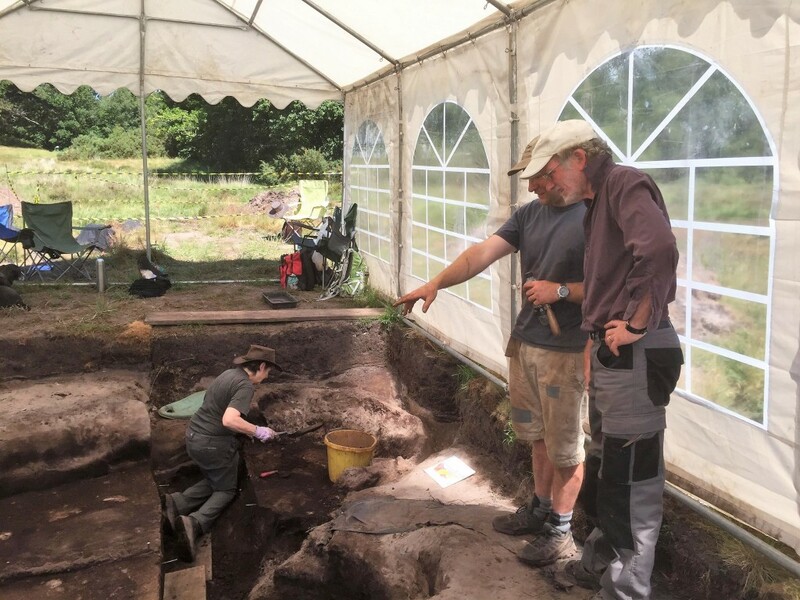 With these two discoveries, and the urn from last year which is currently being worked on at the Hampshire Cultural Trust conservation lab, Barrow 19 will have given us three burial urns. As the remarkable discoveries keep coming, George and Stuart plan their next steps…..stay tuned!